The wireless module sends and receives data wirelessly by LoRaWAN modulation technology,which has the characteristics of ultra-low power consumption, superior performance and long transmission distance. 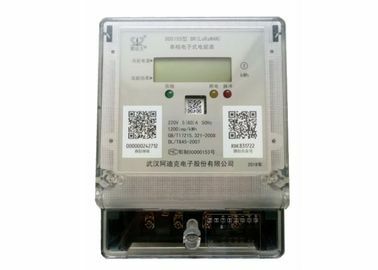 Meanwhile, it has high anti-interference ability, high reliability and greatly exceeded the existing GFSK modulation module in the stability and receiving sensitivity. Which solves the problem that the traditional design solution can not balance the long-distance transmission, the anti-interference and the low power consumption at the same time. LoRaWAN wireless remote electric meter becomes the best choice for wireless applications requiring long-distance transmission and high reliability. Data Storage Period ≥ 10 years, the working time lasts more than 5 years even if power off . Creeping design Have the function of intelligent logical anti-creeping. 1. Low-power consumption, high-performance micro processor used, simply structured, stable performance, ensuring long safe and reliable operation. 2. Precise metering of active electric energy, no calibration required for long time. 4. Receiving of auto clock calibration of ranged concentrator or performed in the system. 1. Q: What kind of payment do you accept ? Can I pay RMB ? A:Payment <=1000USD,100% in advance. Payment>=1000USD,30%T/T in advance,balance before shipment.Please be sure that we can receive the same amount of the Invoice. And you can pay money In RMB. No problem. 2. Q : How to ship my order ? Is it safe? A: For small package, we will send it by Express, such as DHL,FedEx,,UPS,TNT,EMS.That's a Door to Door service. For big packages, we will send them by Air or By sea.We will use good packing and ensure the safety. 3. Q: Can I become an Agent / Dealer of FOHMQ products? talk about this.If you want any other kind of cooperation,do not hesitate to contact us. A: Yes.We made a lot of customized products for our customer before. And we made many moulds for our customers alread. About customized packing,we can put your Logo or other info on the packing.There is no problem.Just have to point out that ,it will cause some additional cost. 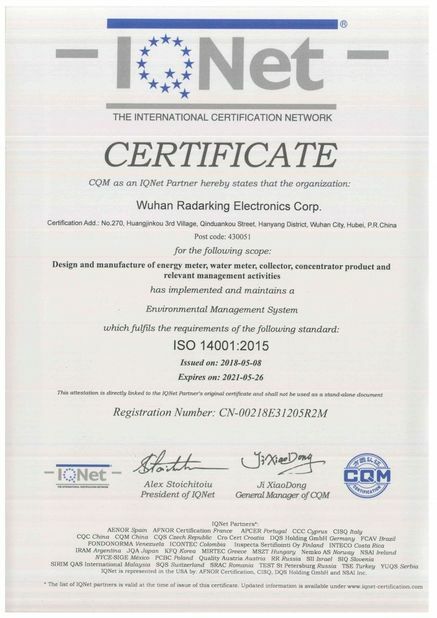 Wuhan Radarking Electrinics Corp. is the professional manufacturer of the high tech products with strong R&D capabilities. It was established in 2002. Our production base covers an area of 30 acres, and self-building workshop covers an area of 7000 square meters, production and storage area covers more than 5000 square meters. We have electronic meter laboratory and full range of test equipments. 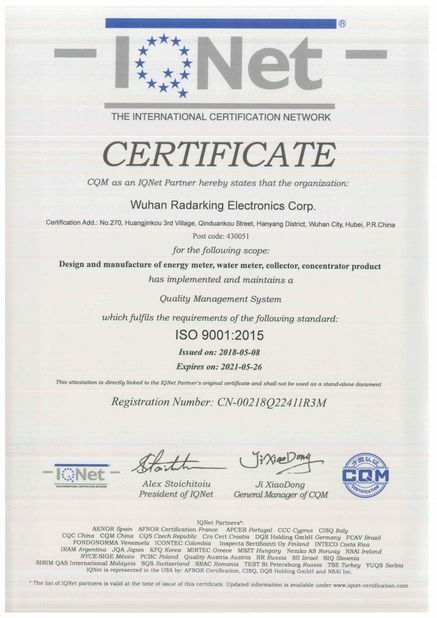 We have our own brand "RADARKING" , also welcome the OEM/ODM.